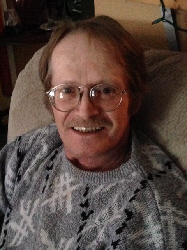 Obituary for Gary F Dembek | Boucher Funeral Home, Inc.
Gary F. Dembek, 64, of Gardner, died peacefully Tuesday, October 9, 2018 in Heywood Hospital of Gardner. Gary was born in Gardner on September 2, 1954, the son of the late Stanley V. and Marceline (Petitti) Dembek. He graduated from Venice High School of Los Angeles, CA with the Class of 1973. Gary was employed by Standard Chair of Gardner for several years. He enjoyed the beach, fishing, working outside and spending time with family and friends. Gary was also an avid fan of the New England Patriots. He was a member of the Fraternal Order of Eagles, Aerie #747 of Gardner. Gary leaves two sisters, Deborah M. Dembek of Wells, Maine and Julie A. Dembek of Westminster; two uncles, Victor Dembek and his wife Ruby, and Leo Dembek; one nephew, Anthony Leroy of Westminster; several cousins; and a special family friend, Denise Kallel of Wells, Maine. Funeral Services will be held Wednesday, October 24th at 12:00 p.m. in the Boucher Funeral Home, Inc., 110 Nichols Street, Gardner. Calling hours will be held Tuesday, October 23rd from 6:00 p.m. to 8:00 p.m. in the funeral home. Memorial contributions may be made to the Gardner Animal Control Facility (checks made payable to City of Gardner Shelter Fund) c/o Board of Health, 95 Pleasant Street, Room 29, Gardner, MA 01440.